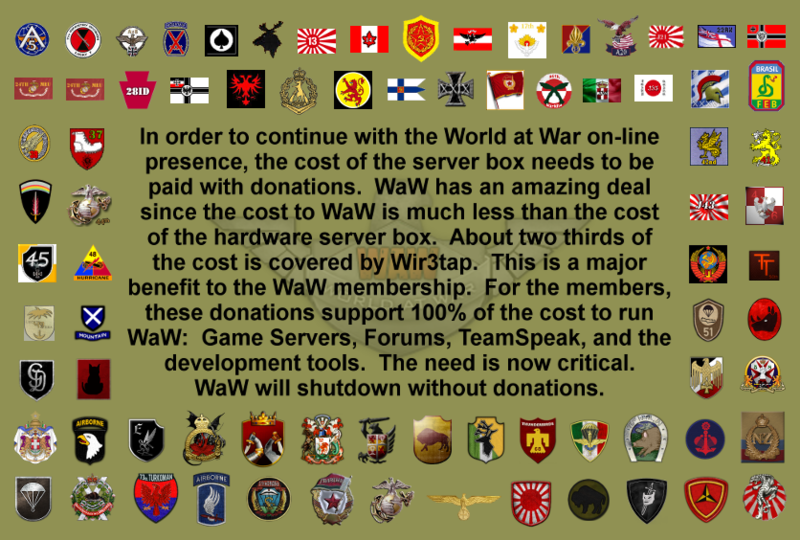 Nearly 3 years ago, I posted something in the WaW Runs On Your Donations thread. It starts with all Division logos from Campaign 1 to last completed campaign. It's next post has something older than 2003 that shows forums opening September 7, 2002. 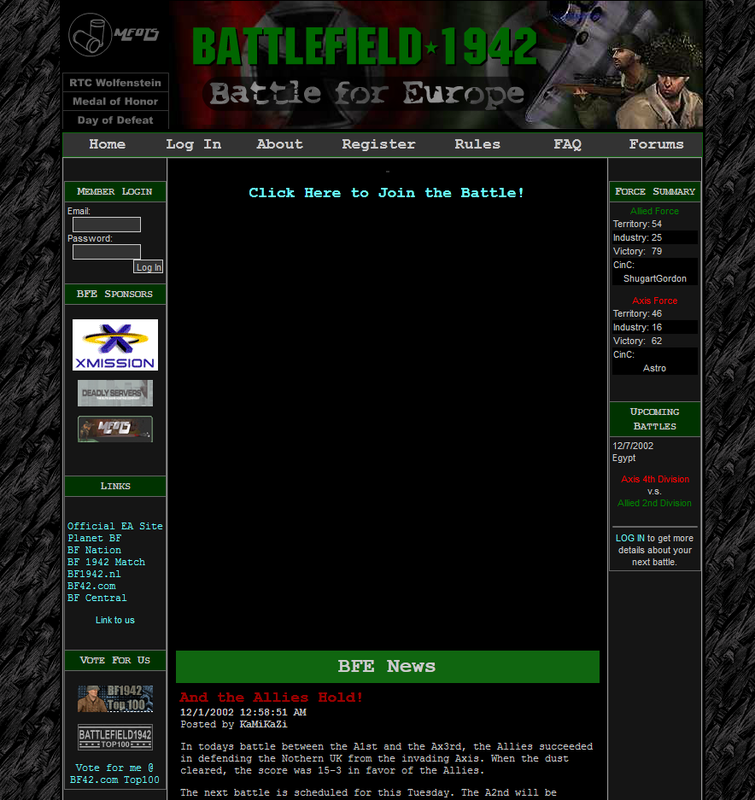 Here is a picture of the first website for BFE:WaW which was put up in September 2002, (taken in December 2002). 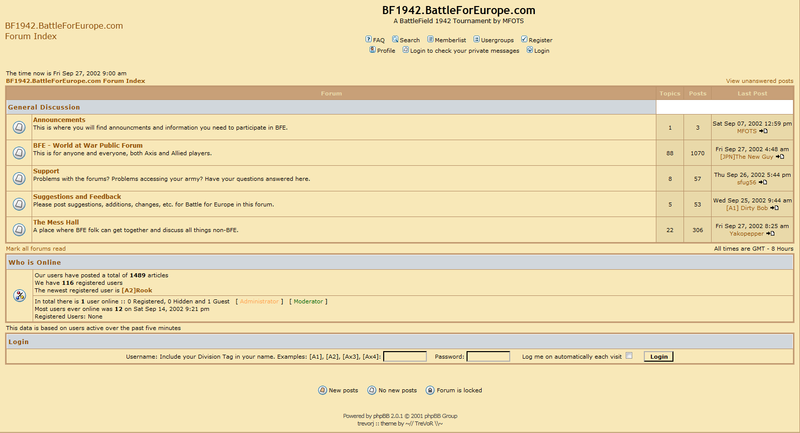 This is what the forums looked like when WaW started in September 2002.